My two years at The White House, Office of Management and Budget, have been extraordinary; I partook in the process to formulate and execute two Presidential Budgets, and I have an understanding, from the top down, on what needs to happen in order for the Executive Branch to implement rules and regulations that make a difference in the lives of millions of Americans. Through the work put into the President’s Budget and regulations, I am humbled by the opportunity to be on a team that concentrates efforts to counter violence against women, rehabilitates prisoner reentry programs, so that people who served their time can reenter civilian life, and continues to promote that early childhood education is not an option, but a critical part of early childhood development. My decision to continue on the path of public service is work experience coupled with the value that I place in volunteership—it’s what helped me find my calling in public service in the first place—and it’s what enriches my work experiences. A few months ago I had a memorable experience when I volunteered to prepare food for a local soup kitchen. I rode in a taxi to drop off the food, but when I reached out to pay my fare, the driver wouldn’t accept my payment. He confided in me that there was a time in his life when he was homeless and he took his meals at this soup kitchen. Part of his silent thank you to the universe was not to charge me for the trip. 3. 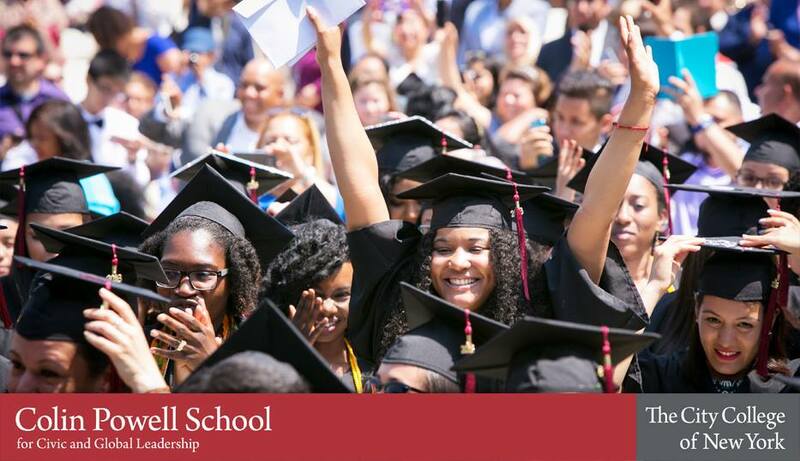 As an alumnus of the Colin Powell School, living outside of New York City, what advice would you give recent graduates about the opportunities that exist outside of the New York area? nd of the day, a sizable part of a rich experience in any workplace, is the enthusiasm, diligence, and humility that you bring to the table. 4. You’re also a proud alumnus of the PSM program: How did the things you learn in the classroom most directly come into practice in your job? My courses in communications and data analysis, and perhaps a touch of grit! My communication and analytical training have translated into my day-to-day work at The White House where I often need to rapidly analyze complex concepts, synthesize essential elements, and concisely communicate this information to diverse audiences, while working on a team or independently. As for grit? I recall one semester when I held two fellowships and took five classes; I was also completing my Capstone project with The World Bank, all the while holding down the position of Policy Director of Economic Development at The Roosevelt Institute at The City College of New York. I knew it would be a busy semester, so I planned ahead as much as I could, for example I got into the habit of preparing and freezing the contents of my morning green smoothies (something I continue to do! ), I scheduled workout sessions, and incrementally started to wake up earlier, until I was consistently waking up at 4am to get through the day. There is no typical day in my job: I look forward to undertaking the daily experiences and challenges because I know that I have demonstrated an ability to remain even-keeled while sustaining high levels of effort in high-pressure situations before, therefore it can be done again.